Well…you definitely messed me up with what Rome and Izzy had to face/endure as acquaintances, as friends, and finally as lovers once Izzy helped Rome fight through his sadness…his depression…his black hole of anguish and grief. My heart hurt throughout the first quarter of the book; Rome’s helplessness and torment resonated from the pages, and there was no way I COULD NOT ACHE FOR EVERYTHING that Rome lost. In some ways, I was grateful that the darkest moments of the story were at the beginning because I knew that some of the fractures could be healed and that light could shine through the relentless darkness that Rome embraced. And, even though I wanted things to fast forward quickly so the happy could return to Rome and Izzy’s life, I’m glad that you didn’t rush things…I appreciate that you illustrated the struggle to move on…to cope with their new existence, and while I wanted to shake Rome a few times and make him realize who he has at his back and stop shutting everyone who loves him out, Rome’s reactions…his feelings are realistic…they speak to a man who has been irrevocably changed. But I also knew that you would guide Rome back to those who mattered most…that he would be desperate for Izzy’s light at some point and only then could he look to a future. 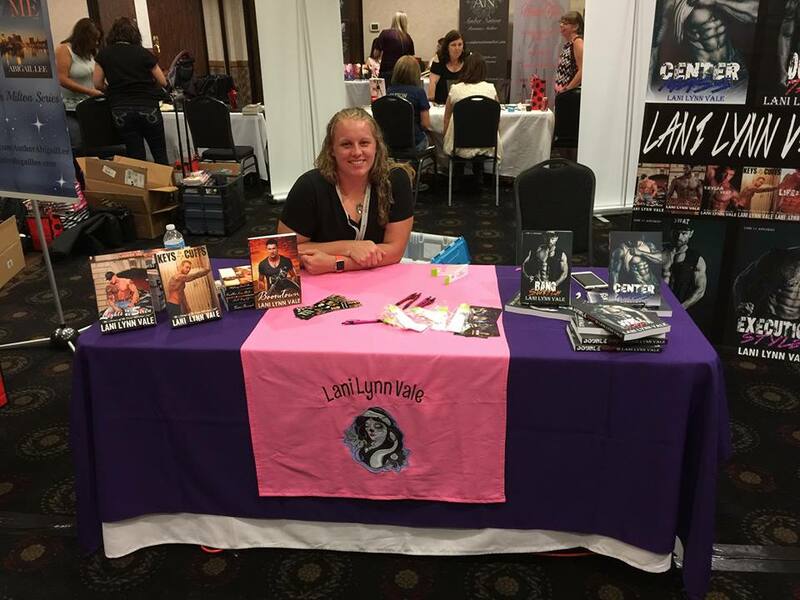 I’ve loved so many of your feisty heroines, but there’s something about Izzy that makes her stand out among the rest. Her life has never been easy, but she’s always so positive…always moving forward even when she wants to crumble, and with the amount of loss that she has experienced and the ways in which life’s moments have scarred her body, her heart, and even her soul, I wouldn’t have been surprised if she would have finally had enough and given up. 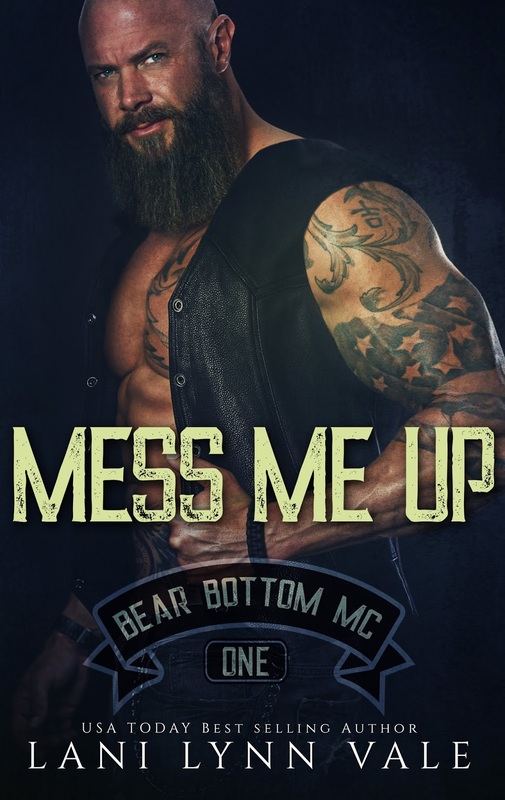 But that’s not who Izzy is…that’s not the spirited fighter who lives inside her and that fact is clearly depicted throughout the trials and tribulations she faces on her own, when it comes to helping her favorite ex-football player/Bear Bottom MC Biker fight his way back to life. 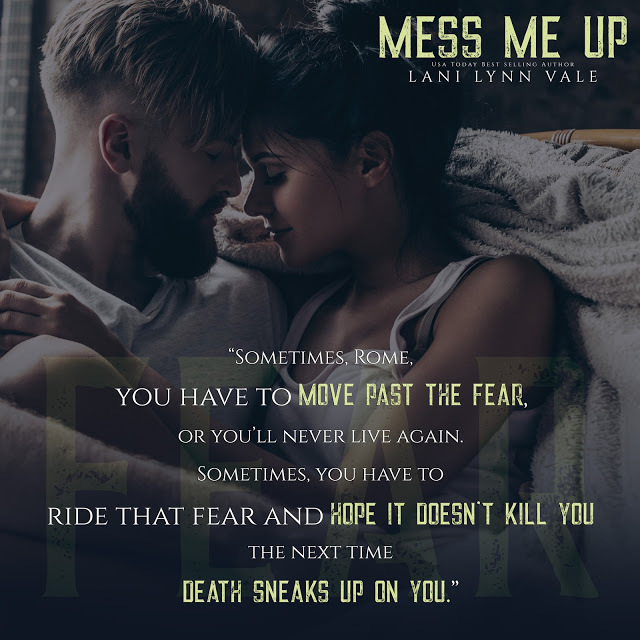 I have to admit, some of the situations that Rome and Izzy faced, especially towards the end of their story, didn’t feel right…I felt like they’d already endured so much that there was no need for anymore complications or hardships, but I trusted this is the story and the details that these two characters wanted you to share with your readers and accepted the path you laid out for them, even if it made me want to pull my hair out with frustration. I also have to say that I was worried about reading Rome and Izzy’s story after already reading Tyler’s book, but it didn’t matter that I already knew they would end up together because what they had to overcome made the journey to their ending that much more important. 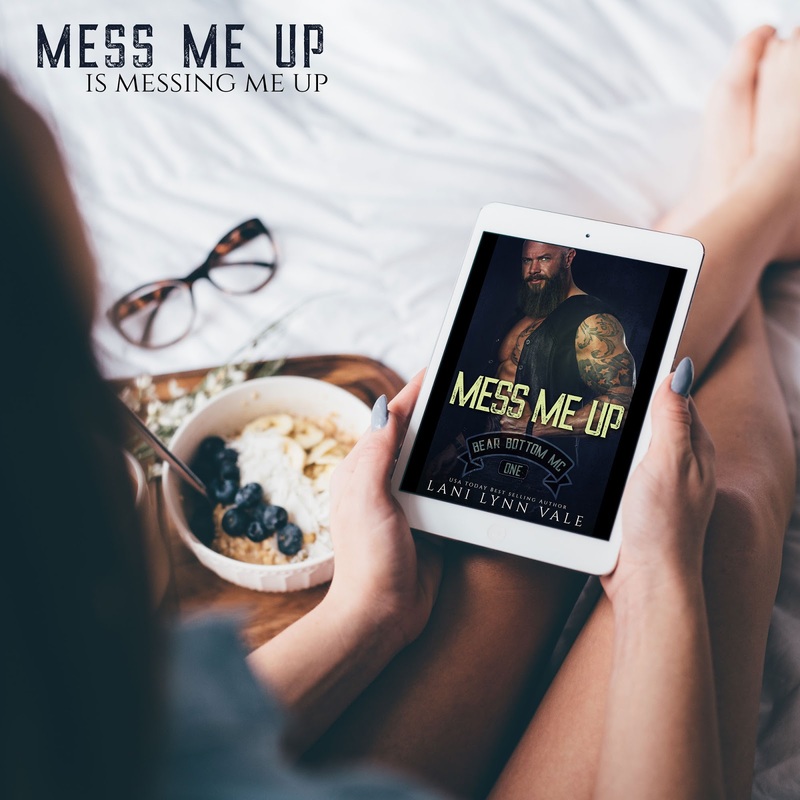 With the introduction of quite a few new characters in Mess Me Up, I can’t wait for their stories, particularly a certain brother who needs to move passed what happened to his partner/lover and what he did in retaliation of that crime and find his own piece of happy. I’m ready for his story to hurt a bit, knowing that you’ll find a way to heal him and help him let go of the demons that still haunt him. I’ve been with my paramedic husband now for ten years, and we’ve produced three offspring that are nothing like us. I live in the greatest state in the world, Texas.